Quick reminder: the summer 2012 road and fell series are listed in the links over there on the right, together with the long trail series. Usual rules, complete enough of the series and collect points based on your position to be eligible for a prize. Separate standings for men, women and old folks. 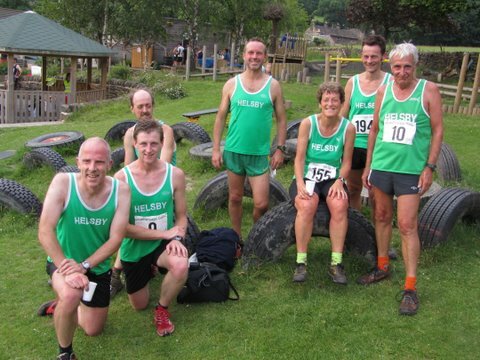 This coming Bank Holiday sees our 4th Fell Counter, the Mynydd Mawr Hill Run. 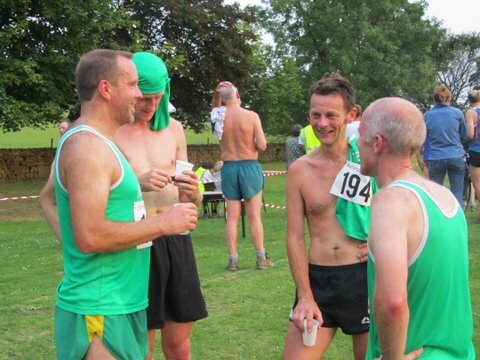 This has been a club favourite for a number of years, partly due to the short 4 mile course! 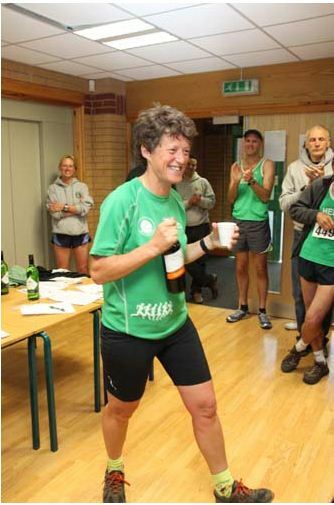 with lots of support for what is a low key race but mainly due to the friendly atmosphere and refreshments afterwards. According to the entry form the course is mixed terrain (all very runnable) with 500’ of climb. There is also a junior’s race on the field by the village hall at 12.30. 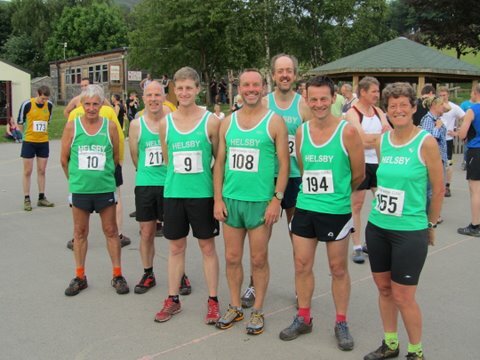 An impressive showing of 11 green vests (which would roughly amount to 20% of the field) from 51 made sure this was an interesting and competitive race for all involved. Dinas Bran is a fairly robust course with some steep climbs and descents, with great scenery too (if you could spare a few moments to look round), that provided a shorter than usual but still nonetheless challenging route. 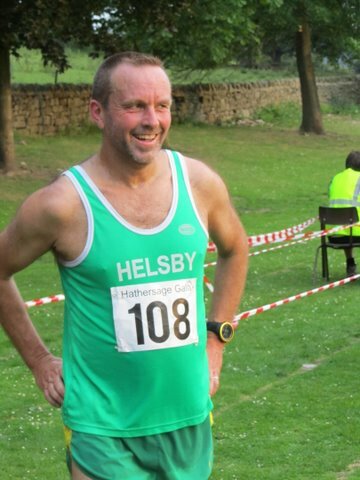 On registering I was surprised to find that Prince William was also running, until it turned out that it was in fact Chris Baynham-Hughes and it was only a case of mistaken identity (don’t worry, Chris knows what I’m talking about!). So no opportunities to see Kate or to blag a free helicopter ride home. However, there were some close battles as can be seen from the results and photos from the night, which can be found at Pete Douglas’s website below. Bonus points awarded to anyone who can find a smiley face after the ascent. Congratulations to Jackie Keasley for 1st in her age category! Cup of Tea or Bottle of Wine or why not both!